Apparently, as the bandwagon was driving by, I jumped right onto it. It’s a pumpkin spice world. There’s probably even a pumpkin spice shampoo at this point. Pumpkin spice toothpaste? But, who can resist those flavors? 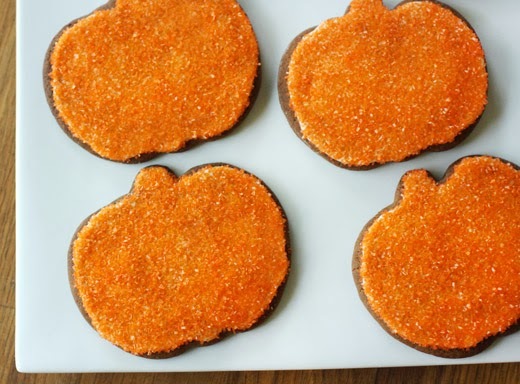 In full disclosure: there is actually no pumpkin in these cookies, but they are shaped like pumpkins so I think the name is valid. I baked them to send as long-distance trick-or-treats for my nieces and took a few to a party as well. I heard lots of good things from the party guests about them which tells me the recipe is a definite keeper. It’s from the October 2000 issue of Living magazine, and it’s available online. I made a few changes from the original. They’re intended to be circular cookies cut from logs of chilled dough. I added a step by rolling out the dough and cutting pumpkin shapes. It’s a somewhat soft dough, and it does spread a bit in the oven. After the first sheet of spread-out, blobby-looking, baked pumpkin cookies, I decided to chill the cut cookies on baking sheets before putting them in the oven. That helped some. But, any shape more intricate than a pumpkin might not work well. 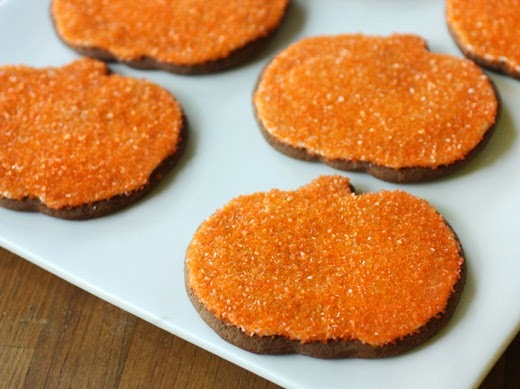 You’ll also see in the photo with the original recipe that they’re decorated like jack-o-lanterns in various colors. Piping bags and I don’t always get along so well which is why I took a different direction with the decorating. The dry ingredients including flour, baking soda, salt, baking powder, cinnamon, and ginger were sifted together and set aside. Butter and sugar were creamed together, and then eggs were added followed by vanilla. Next came the molasses, and every year at this time, I’m reminded of how much I really like the flavor of molasses. After incorporating the lovely molasses, the dry ingredients were added and mixed into the dough. Rather than dividing the dough into two pieces and rolling each into a log to be chilled, I just chilled the dough in one big disc. The next day, I worked with a quarter of the dough at a time and rolled it out with a rolling pin to about a one-quarter inch thickness. I cut pumpkin shapes, placed them on baking sheets and popped the baking sheets into the refrigerator for a few minutes before baking. After the cookies were baked and cooled, I used Royal Icing to outline each cookie and then filled that outline with more icing which was topped with orange sugar. This was far easier for me than attempting to draw jack-o-lantern faces with a piping bag. Fragrant cinnamon and ginger draw you in, but I think it’s the molasses that seals the deal. I liked these cookies just as well with no icing or decoration at all. But, for Halloween, they do demand some dressing up, some color, and more pumpkin-ness. There’s something about the style of cooking from the ladies of Canal House that’s so inviting. There’s always a sense of simplicity about the dishes, and that seems to allow you to slow down a bit, enjoy the cooking process, and savor the meal even more. I sat and read a review copy I received of their latest, Canal House Cooking Volume No. 8: Pronto , in one afternoon. It’s full of Italian recipes that are as easy to pull together as they are to share along with some wine. The casual but delicious look of the Poached Vegetables with Savory Zabaione has me thinking it would be a great way to start a meal with friends. And, the pasta dishes like Mezzi Rigatoni with Tomatoes, Lots of Herbs, Hot Oil, and Mozzarella make the most of a few ingredients with big flavors. I’d be happy with an entire meal of some of the vegetable dishes like Peppers Roasted with Anchovies and Butter, Eggplant with Smoky Tomato and Harissa Sauce, and White Beans with Spicy Black Olive Vinaigrette. There are also pizzas for the grill or the oven and desserts that I keep flipping back to including Fig Gelato, Almond Cookies, and Zaletti which are made with currants, rum, and cornmeal. There are chicken and meat dishes as well, but I made a stop in the Pesci chapter first. Acqua Pazza has always sounded like a fun dish to make, it’s fun to say too, but I’d never tried it. The name refers to the “crazy water” broth in which fish is poached. There are fresh, plum tomatoes in the broth, and I found some cute, locally-grown ones at the farmers’ market last weekend. Those plum tomatoes were quartered lengthwise and seeded. The seeds were placed in a sieve set over a bowl, and the juice that strained from them was added to the tomato segments. The other components that make the water so crazy are sliced garlic, red pepper flakes, wine, fresh oregano, and fresh parsley. Water is also added to the broth before being left to simmer and reduce for a bit. I chose some thick cod fillets, but any firm, white-fleshed fish would work here. I cut the fish into portions and seasoned each before placing the pieces in the broth. The fish cooks quickly, and I spooned some broth over the fillets to help cook the tops which weren’t submerged. When opaque, the fish was removed to a platter, the broth was spooned over top, olive oil was drizzled on the fish, and chopped parsley was added for garnish. With wine, garlic, and red pepper flakes, of course this is going to be good. The simple broth takes on a lot of flavor in a short amount of time, and it’s perfect for subtle white fish. Have some crusty bread on hand to swipe through the broth as well. Whether you’re entertaining or just planning weekday meals, you can’t go wrong with recipes from Canal House. Recipe reprinted with permission from Canal House Cooking Volume No. 8: Pronto by Christopher Hirsheimer and Melissa Hamilton/Andrews McMeel Publishing, LLC. 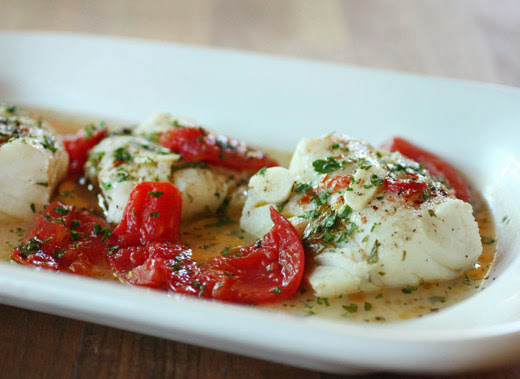 This classic Neapolitan fish preparation is both delicate and full of flavor. The term acqua pazza (“crazy water” in Italian) refers to both the dish and the poaching broth, which is stained red from tomatoes and aromatic with garlic and herbs. It’s one of those satisfying dishes, like San Francisco’s cioppino, created by fishermen who would make it on board with their catch of the day and a few other simple ingredients. 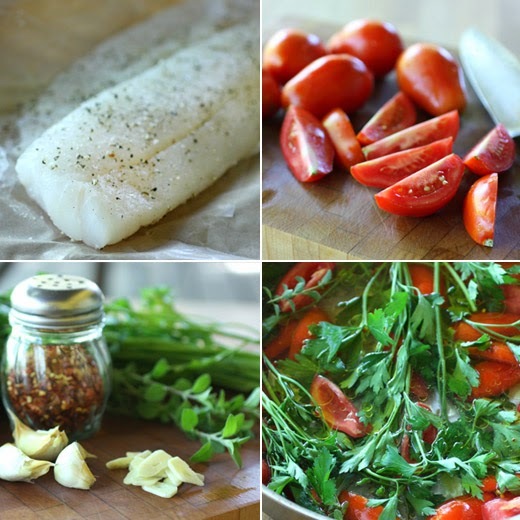 We like to use black sea bass or red snapper, but any non-oily white fish will do nicely. Quarter the tomatoes lengthwise. Working over a sieve set over a bowl, scoop out the tomato seeds with your fingers. Put the tomatoes in the bowl with any of the strained juice and discard the seeds in the sieve. Heat the olive oil in a large sauté pan over medium-low heat. Add the sliced garlic and red pepper flakes, and cook until the oil is fragrant and well-flavored yet the garlic remains pale blonde, 3–4 minutes. Add the tomatoes and their juice, the wine, oregano, half of the parsley, and 4 cups cool water. Increase the heat to high and bring to a boil. Lower the heat to medium and simmer the broth until it is slightly reduced, 15–20 minutes. Chop the remaining parsley leaves (discarding the stems). Add the parsley, a generous pinch of salt, and some pepper to the broth. Season the fish filets with salt, then place them skin side up in the simmering broth (the fish will not be submerged). Cook until the fish is opaque, about 3 minutes. Remove the pan from the heat. Remove and discard the sprigs of oregano and parsley. Use a fish spatula to arrange the fish flesh side up on a deep serving platter or on 4 deep plates. Taste the broth and adjust the seasonings. 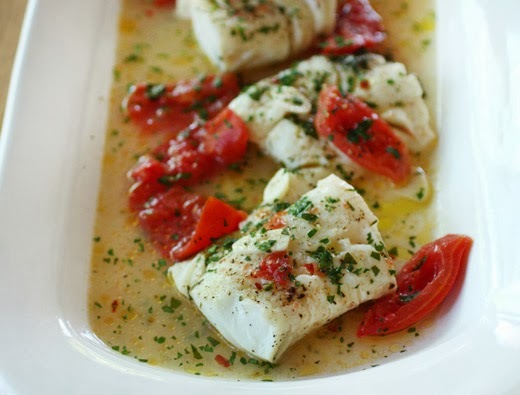 Spoon the tomatoes and broth over the fish and drizzle with some olive oil. I think I’ll always assume that part of bread baking is magic. I can choose different flours for different textures, adjust the timing according to the temperature, make big loaves or small rolls, but I’m never completely sure what the result will be until it comes out of the oven. Hence, it’s magic. This is also why I love reading books about bread baking and learning more about every detail of the process. Every baker who has written about bread baking has unique insights or techniques to offer. And, when the baker in question happens to be a Master Baker who trained at Les Compagnons du Devoir guild and has taught and consulted on bread baking around the world while operating his own bakery, I know there will be plenty to learn. I received a review copy of A Passion for Bread by Lionel Vatinet in which he describes the importance of bread throughout his upbringing in France and how he was inspired to master the craft of bread baking. After doing so, it became his goal to teach what he’s learned to as many professional and home bakers as he can. The book walks you through the processes of mixing, kneading, and shaping with helpful step-by-step photos along the way. There are yeast-raised breads including plain Baguettes and several varieties of stuffed Baguettes, Focaccia with all sorts of toppings, and Ciabatta as a loaf or rolls. Up next are Sourdough Breads which I’m partial to because of the complete simplicity of ingredients and homemade-ness of them. Last, there’s a chapter for other uses for all of these breads like recipes for soups to be topped with croutons, sandwiches with different breads, and stuffing. My first stop was in the Sourdough chapter for the Kalamata Olive Bread. As usual in preparing to bake bread, the first step was to feed my starter and get it ready to do its thing. The dough here was a mix of whole-wheat flour, bread flour, water, liquid levain or starter, and salt. Vatinet points out that by adding the water to a bowl first and then adding the levain, you won’t risk the levain partially sticking to the bottom of the bowl. The olives were chopped in half or quartered, drained, and then patted dry before being tossed with some flour. After mixing the primary ingredients, the floured olives were added and mixed into the dough. 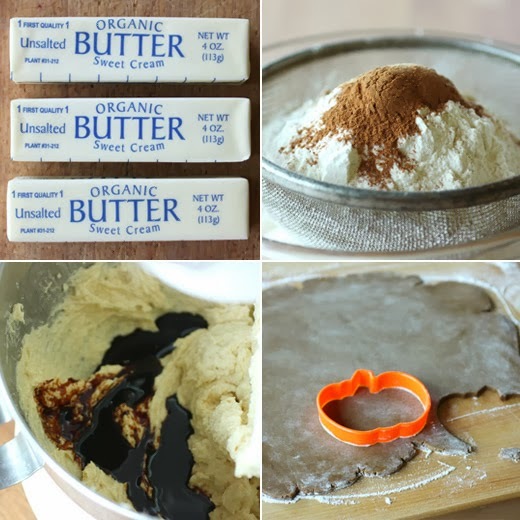 This recipe makes a sticky dough, and Vatinet provides good guidance for working with it. He assures you that after folding the dough at intervals during the first fermentation, it will have developed some body and lost some of the stickiness. I actually doubled the recipe to make two loaves. So, after the first fermentation, I divided the dough in half. In my case, two loaves were shaped, and I refrigerated them overnight for a slow final fermentation before baking. The issue of adding steam to the oven while the bread bakes is something every baker seems to address in a different way. A technique that has become popular is to place a shaped loaf in a pre-heated cast iron pot with a lid to allow the steam rising from the bread as it bakes to be captured inside the pot. With that method, you have the difficulty of gently placing a risen loaf in a very hot pot and then having to reach in to slash the surface of the loaf while not burning your hands on the pot. Vatinet offers a different approach to achieve the same effect. He suggests you place the loaf on a cornmeal-dusted peel, slash the top of the loaf, slide the loaf onto a baking stone in the oven, and then place a stainless steel mixing bowl over the loaf for the first ten minutes of baking. The bowl is easy to remove with oven mitts after it has done its job of capturing steam. It worked great, producing nice, crusty loaves. 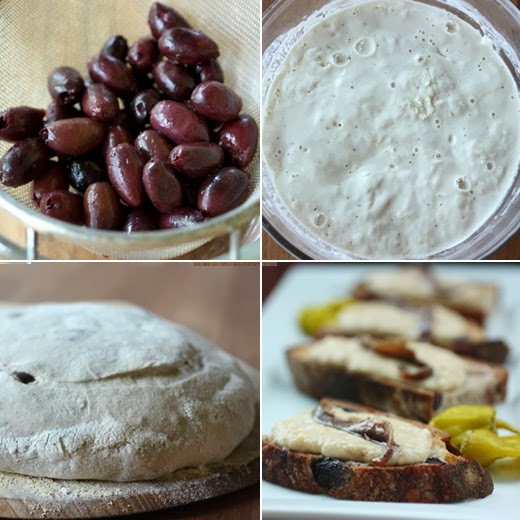 An idea mentioned in the recipe headnote is what convinced me to try this bread, and that was to use the olive bread for a tuna Nicoise sandwich. I ended up doing a tuna-less twist on that by toasting pieces of the bread, topping them a white bean spread, setting an anchovy fillet on each pieces, and drizzling with olive oil. It was a delicious combination of flavors from bottom to top. The more I learn and the more I bake, there are fewer mysteries to the process. But, I think there’s still a bit of magic involved. Recipe reprinted with publisher’s permission from A Passion for Bread: Lessons from a Master Baker . Copyright © 2013 Lionel Vatinet. Little, Brown and Company. One of the stops on my Guild Tour de France was Nimes, where a fougasse (a French take on focaccia) with olives is the bread of choice. 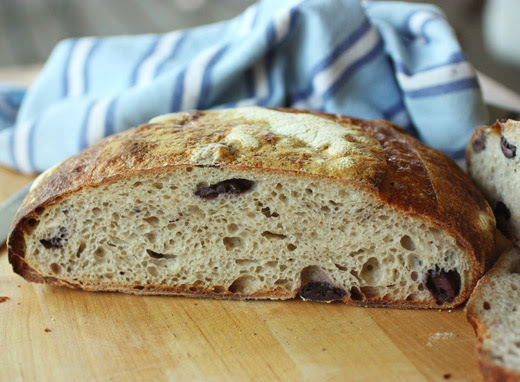 When I began baking in the United States, I added olives to my sourdough bread. It was instantly popular, which did not make me happy because the only olives available still had their pits. 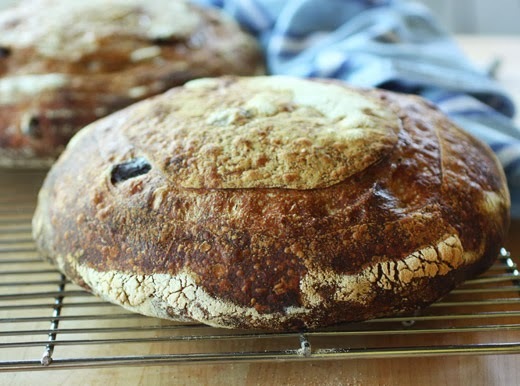 I spent more time pitting olives than making bread—not a fun job! Thankfully, pitted kalamata olives are now readily available in the United States. Try this bread to make a tuna Nicoise sandwich—a very French lunch. Scale all of the ingredients. Using a chef’s knife, cut each olive into 6 pieces and place them in a small bowl. Add the .35 ounce/10 grams whole-wheat flour and stir to lightly coat each piece of olive, allowing the flour to absorb any remaining moisture. Set aside. Using an instant-read thermometer, take the temperature of the water. It should read between 65°F and 70°F. Record it in your Dough Log. Place the 11.03 ounces/315 grams whole-wheat flour, the white flour, and the salt in a medium mixing bowl, stirring to blend well. Pour half of the water into a mixing bowl, and then add the liquid levain, stirring to blend. Pour the levain-water mixture into the bowl of the electric stand mixer. Add the flour-salt mixture. Then, attach the dough hook to the mixer. Begin mixing on low speed (“1” on most mixers) and continue to mix until the dough becomes soft and moist, about 5 minutes, frequently stopping the mixer and scraping down the sides of the bowl with a bowl scraper or rubber spatula to make sure that all of the ingredients are incorporated into the dough. Taste the dough to see whether you have forgotten the salt. If so, add it now and mix for another minute. The dough should just be beginning to come together. Stop the mixer and move the dough hook out of the way. Using your bowl scraper, scrape down the sides to make sure that all of the ingredients are combined in the dough. Return the dough hook to its original position. Increase the speed to medium-low (“2” on most mixers) and mix until the dough is soft and smooth, with a moist, tacky surface, about 2 minutes. Add the floured olives, reduce the speed to low, and continue to mix until the olives are completely incorporated into the dough. Using an instant-read thermometer, take the temperature of the dough. It should be between 72°F and 80°F. If it is not, immediately make the necessary adjustments. Record the temperature of the dough and the time you finished this step in the Dough Log, and note the time the first fermentation should be completed. This dough will be in the first fermentation for 3 hours, with a fold each hour. Lightly dust a large glass or metal bowl with flour. Transfer the dough to the floured bowl, throw a light film of flour over the top to keep the plastic from sticking, tightly cover the bowl with plastic wrap, and place in a warm (75°F to 80°F), draft-free place for 1 hour. Uncover the dough and place it on the floured work surface. If the dough is very sticky, lightly flour your hands, but do not add more flour to the dough. If the dough sticks to the table, use your bench scraper to lift it up; do not pull and stretch the dough. Let the dough rest for 30 seconds. Using cupped hands, pat the dough into a thick square. Lift the right corners and fold them into the center of the square, lightly patting the seam down. Lift the left corners and fold them into the center of the square, again lightly patting the seam down. Repeat this process with the top two corners and then the bottom two corners, meeting in the middle of the square and lightly patting down the seams. Lightly flour the bowl and return the dough to it, seam side down. Cover with plastic wrap and return to the warm (75°F to 80°F), draft-free place for another hour. Repeat the above process and again place the dough in a warm (75°F to 80°F), draft-free place to rise for a third and final hour. At this point the dough should have increased in body and be less sticky. Lightly dust a banneton with flour. Place the dough in the banneton, seam side up. Throw a light film of flour over the top to keep the plastic from sticking, and cover tightly with plastic wrap. Place the banneton in a warm (75°F to 80°F), draft-free place for 21/2 to 3 hours or, alternatively, proof for 1 hour and then place in the refrigerator for 12 to 16 hours. If the dough has been refrigerated, let it come to room temperature for 1 hour before baking. If you are using the stainless-steel bowl method to bake the bread, about 30 minutes before you are ready to bake, move one oven rack to the lowest rung and remove the other. Place a large baking stone on the rack and preheat the oven to 450°F. To determine whether the dough is ready to be baked, uncover and gently make a small indentation in the center of the dough with your fingertip. If the indentation slowly and evenly disappears, the bread is ready to bake. If not allow for additional fermentation. Lightly dust a bread peel with cornmeal and carefully transfer the loaf to it, top side up. Working quickly and using a lamé or single-edged razor blade, score the top of the loaf. Cut in quick, decisive slashes, marking into the dough by no more than 1/8 inch. Slide the loaf onto the center of the stone, taking care not to touch the hot surface. Quickly cover with the stainless-steel mixing bowl. Immediately close the oven door. Bake for 10 minutes; then, lift the edge of the bowl with the tip of a small knife and use oven mitts to carefully remove the hot bowl. Continue to bake until the bread is a deep golden brown, about 30 minutes more. (It is a good idea to check after the bread has been baking for about 20 minutes to make sure it is browning evenly. If not, rotate the bread.) If you are concerned about the bread’s doneness, insert an instant-read thermometer from the bottom of the bread into the center. If it reads 185°F to 210°F the bread is fully baked. Transfer the loaf to a cooling rack and let it cool for at least 1 hour before cutting with a serrated knife or wrapping for storage. I remember a conversation with a friend many years ago. We were talking about recipes and cookbooks, vegetarian cooking in particular, and my friend asked “Do you have any of the Moosewood cookbooks?” At the time, I didn’t, and as she talked more about the books I knew I needed to change that pronto. Moosewood Restaurant Cooks at Home found a spot on my shelves soon thereafter. The restaurant, located in Ithaca, New York, has now been in operation for 40 years, and they’ve just published their thirteenth cookbook. Their latest, of which I received a review copy, brings together all their favorite and most-requested recipes. In Moosewood Restaurant Favorites , some of the dishes have been updated from their original state because various ingredients are now more easily sourced than they once were, or maybe a dish has been made so many times, it’s been slightly modified over the years. The result is a fresh look at what the Moosewood Collective knows to be the most beloved items from years of menus. The book isn’t entirely vegetarian since there is a Fish chapter, but that’s the only place where you’ll find meat. Every course and type of dish is covered with appetizers, soups, dips, sandwiches, salads, mains, stews, savory pies, casseroles, wraps, pasta, sides, sauces, condiments, and desserts. These are classic, doable dishes that don’t involve hours of prep or any complicated steps to create them. I’ve been eying the Burgers chapter since I’m always hoping to find a perfect homemade veggie burger, and there are several options here. I’m going to have to taste and compare the Moosewood’s Classic Tofu Burgers, Falafel Burgers, and Southwestern Bean Burgers. In the Curries and Stews chapter, there are options for every season, and the Navajo Stew with sweet potatoes, chipotles, and black beans served with cornbread and Cilantro-Yogurt Sauce sounds like a great comfort-food meal. The Vegetable Stroganoff, Confetti Kale Slaw, and Italian Polenta-stuffed Peppers are a few other things I want to make soon. There’s an entire chapter just for tofu main dishes, but the first tofu recipe I tried was from Appetizers. The Tofukabobs would be fun as party food since this is food on sticks, and there are plenty of big flavors from the marinade and Peanut Sauce. You’ll want to press the tofu first so that it can absorb the marinade. After pressing, the tofu was cut into one-inch cubes and covered with a mix of vegetable oil and soy sauce. You could place as many as four tofu cubes on each skewer, but I went with three. The skewers were soaked in water to prevent them from burning as the tofu cooks. The kabobs were placed on a baking sheet and popped into a 425 degree F oven for about 25 minutes. I turned the kabobs at the half-way point of cooking. They don’t look very exciting after only 12 minutes in the oven, but just wait. After the full cooking time, the tofu turns golden and a little crisp on the edges. Meanwhile, the peanut sauce was a quick mix of peanut butter, soy sauce, vinegar, water, sesame oil, honey, and I used sriracha for hot sauce. Taste as you mix, and choose your consistency. I added a bit more water to thin the sauce to a good pourable state, and I added a bit more sriracha for an extra spicy kick. The kabobs were served on a platter with the peanut sauce drizzled over top. Extra peanut sauce was served on the side for dipping. I had to add a sprinkle of a few garnishes including chopped green onions, garlic chives, and serrano chiles. The platter of kabobs was soon empty, and I can see why these are a favorite. I’m so glad to have gotten to know Moosewood through their books thanks to my friend mentioning them all those years ago. Recipe reprinted with publisher's permission from Moosewood Restaurant Favorites . 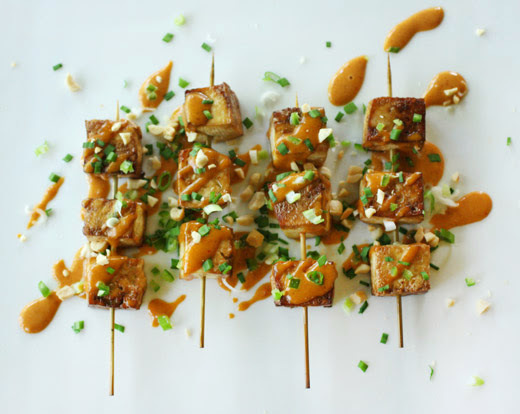 Tofu cubes baked on a skewer come out nice and chewy, a perfect vehicle for the delicious peanut sauce. We can’t tell you how many people this recipe— twelve tofukabobs— will serve. Is it going to be a snack, appetizer, central on the dinner plate, or part of a buff et? Then there is a bigger consideration: who will be eating them? Some people are happy with one skewer. Others force themselves to stop after four or five. Tofukabob enthusiasts are often people who said when they were first offered one, “Oh. OK, but I’m not too fond of tofu.” All it takes is a couple of people who go gaga over them to wipe out a platterful in no time. All tofu is not the same— the consistency varies. Be sure to get fresh tofu if you can. And, if you have a convection oven, use it for this recipe. First, press the tofu for at least 10 minutes (see page 388). Soak the skewers in water. Preheat the oven to 450°F, or a convection oven to 425°F. Generously oil a large baking sheet. Cut the blocks of tofu into 1- inch cubes; you should get 24 cubes from each block. Transfer the tofu cubes to a bowl. 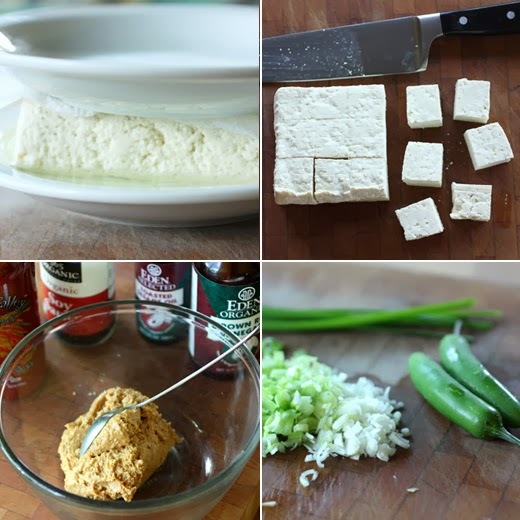 In a separate bowl, whisk together the oil and soy sauce and pour over the tofu. Using a rubber spatula, gently turn the tofu cubes to coat all sides. Thread 4 cubes onto each soaked skewer, leaving about 1⁄2 inch of space between them, and place on the prepared baking sheet, leaving space between the tofukabobs. Bake until sizzling and golden brown, 20 to 25 minutes; less if using a convection oven. While the tofu bakes, stir together all of the peanut sauce ingredients until smooth. Serve warm or at room temperature. 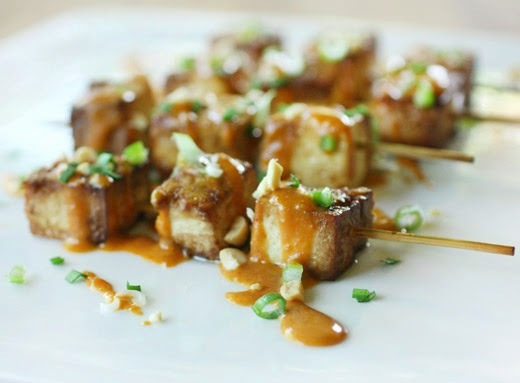 Arrange the tofukabobs on a serving platter and drizzle them with peanut sauce. Put the rest of the peanut sauce in a little pitcher, so the peanut sauce lovers can drench their tofukabobs, if they like. All of a sudden, chocolate has jumped to the top of my favorite ingredients list. It’s because of the new book Mast Brothers Chocolate: A Family Cookbook . Since receiving a review copy of the book, chocolate is pretty much all I can think about. But, before we get to all the delicious-looking recipes, I should ask if you’re familiar with Mast Brothers chocolate? Rick and Michael Mast are in fact brothers, and they began making bean-to-bar craft chocolate in Brooklyn about six years ago. They source a variety of cacao beans directly from farmers, roast the beans themselves, and craft their chocolate with only added sugar and no emulsifiers. Not many chocolate companies actually craft chocolate from cacao beans, and most chocolate is made with added ingredients for flavor and/or improved texture. Most companies buy chocolate already formed, temper it, and make confections. The Mast brothers were inspired to learn the entire process and discover unique flavors from different types of cacao beans grown in different locations. The book has a nice rhythm to it with recipes that are each accompanied by a beautiful photo and are interspersed with stories about the brothers and how they started their craft chocolate business. They follow a few simple rules to keep their business on track like: “Master your craft-- Continuously improve the quality of your craft; Make everything delicious; Waste nothing; Connect customers to the source-- We are nothing without our farmers.” I liked everything I was learning about this company. One story that particularly stood out was about how they decided to sail a shipment of beans to New York. They didn’t want oil to be involved in the transport of their beans, so they spent months researching, planning, and scheduling a sailing cargo ship to pick up 300 bags of cacao beans from the Dominican Republic and deliver them to Brooklyn. That’s dedication to simplicity at its best. The recipes have a nice sense of simplicity about them as well. These aren’t tricky or complex chocolatier’s confections. And, it isn’t a requirement that Mast Brothers chocolate be used for them to work. But, they are all recipes for high quality, dark chocolate, cocoa powder, and cacao nibs. There are Classic Chocolate Brownies with almonds, hazelnuts, and pecans; Chocolate-Covered Pretzels with homemade, yeast-raised, pretzels; Chocolate Caramels with Sea Salt; Chocolate Chip and Ricotta Pancakes; various chocolate cookies; chocolate sauces; a couple of versions of hot cocoa; cakes; pies; and that’s just some of the sweet stuff. There are also savory uses of chocolate throughout the book. I’ve already tried the Cacao Nib Salad with Cocoa Balsamic Vinaigrette and was delighted. The vinaigrette was made by grinding cacao nibs, chopped rosemary, cocoa powder, salt, and pepper in a mortar with a pestle, and then balsamic vinegar, honey, and olive oil were added. It was tossed with a salad of frisee, arugula, spinach, and blood orange wedges, and topped with more cacao nibs. The flavors were balanced, the cacao nibs were nutty, and subtle cocoa flavor paired well with the blood orange. Some other savory recipes include mole sauce, of course, a cocoa dry rub, a Savory Chocolate Cream Sauce for pasta, and a Spiced Cocoa Butternut Squash Soup. It’s like I’m transfixed by these recipes. Whether the uses of chocolate are novel or classic, everything in book looks like something I want to make right now. First, I made the Chocolate Crunch because I had the ingredients in the house and could actually make it as soon as I read about it. It was a simple matter of melting chocolate with butter, adding peanut butter and honey, stirring in puffed rice cereal, pouring it into a pan and waiting for it cool. The result was like the best possible version of a Nestle Crunch bar. Next, I had to try the Chocolate Caramel Tart which I made as tartlets. 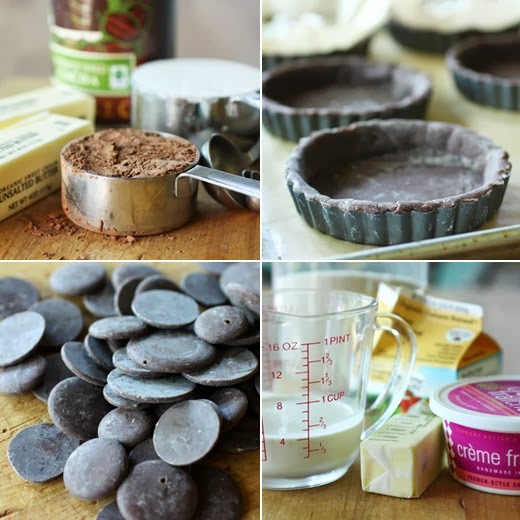 The chocolate tart dough was made with cocoa powder, butter, flour, egg yolks, and just a little bit of sugar. It wasn’t a very sweet dough, and that worked well with the caramel filling. The crusts were blind-baked and left to cool. The caramel was made with cooked sugar, cream, butter, creme fraiche, and salt. 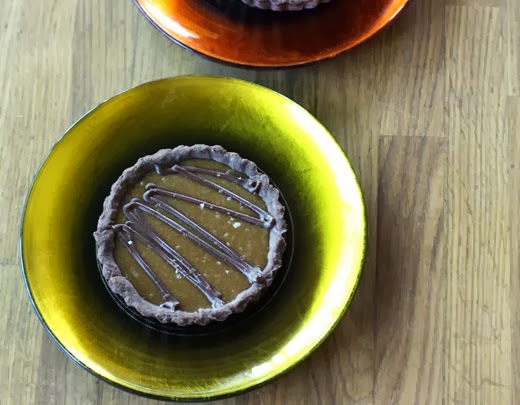 I made four-inch tartlets, had enough dough for eight tartlet shells, and was able to fill six of them with caramel filling. The recipe is written for a twelve-inch tart, so I expected the crusts and filling might not match up perfectly. 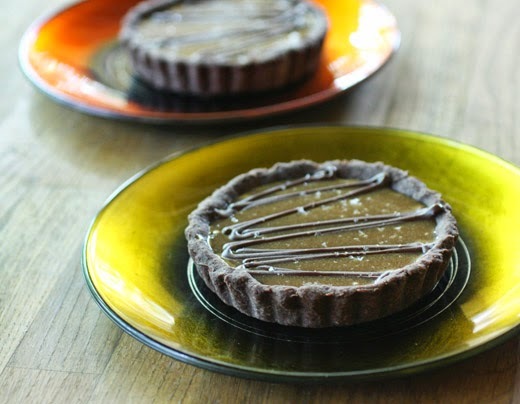 After the caramel filling set in the crusts, the tartlets were drizzled with ganache and sprinkled with flaky sea salt. As a huge fan of all things caramel, this was an ideal dessert for me. And, now I need to re-stock my chocolate supply and pick which recipe to make next. Obviously, I’m easily distracted by recipes. When I start looking for inspiration around a general idea of a dish, I end up wanting to try every version of that dish I discover along the way. Sometimes it takes a couple of tries to get it right or to end up with what I thought I wanted in the first place. Most recently, this happened because of corn. Our last two deliveries from our CSA included corn, and since it is officially fall, I started thinking about corn soups and chowders. At first, I got carried off in the direction of a pureed corn and potato soup with roasted peppers and cotija cheese for garnish. It was a perfectly great soup, but as soon as I sat down to a bowl of it, I realized a chunky chowder was what I was really craving. So, when corn appeared in our box again with the next delivery, my recipe search was more focused. What got my attention this time wasn’t really a soup recipe at all but some cute, little cracker-like biscuits. I have a file full of those perforated recipe cards that always appear in Living magazine. In September 2002, the recipe cards included Grilled Striped Bass to be topped with a Corn and Clam Chowder Sauce and served with Oyster Biscuits. Those biscuits are thin, homemade recreations of the type of crackers usually paired with clam chowder. 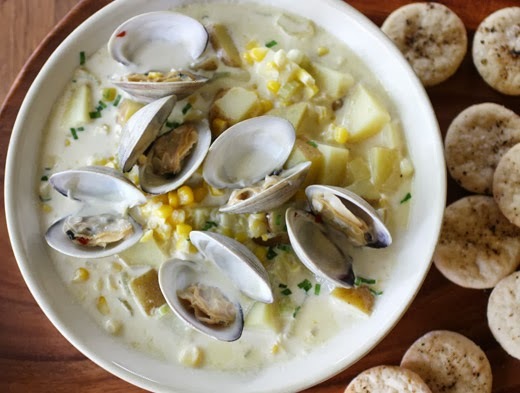 And, the chunky Corn and Clam Chowder Sauce from that recipe card could easily be made into a soup by adding some milk. I knew I was on the right path. The biscuits come together easily, and you can make them in a food processor or by hand. Since it’s such a small amount of dough, I made it by hand and skipped having to wash the parts of the food processor. Flour, salt, baking powder, ground cumin, and ground coriander were combined in a bowl. I worked in two tablespoons of butter by hand until the mixture was crumbly. A half-cup of milk was added and stirred to form the dough. The dough was kneaded briefly on a floured surface and then rolled to a quarter-inch thickness. One and a half-inch biscuits were cut and placed on a baking sheet. I brushed the biscuit tops with water and sprinkled with salt and pepper before baking at 350 degrees F for about 20 minutes. As the biscuits cooled, I started on the chowder. First, the clams were steamed in white wine to which I added a big pinch of crushed red pepper flakes. 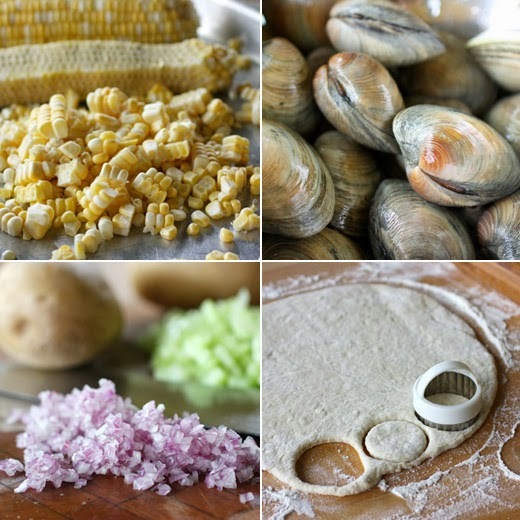 When the clams opened, they were removed to a plate, the wine was strained into a cup and set aside, and the pan was rinsed and placed back on the stove. Next, butter was melted in the pan, and shallots and celery were cooked for a few minutes before chunks of potatoes were added with a bay leaf. The reserved wine was added along with a half-cup of water since I needed a little more liquid to form a soup rather than a sauce. I left the potatoes to cook for about ten minutes. Then, two cups of corn kernels were added along with one and a half cups of milk and one cup of cream. The soup was left to simmer until the corn was tender. The clams were returned to the pot to warm through before serving. This time I got it right. 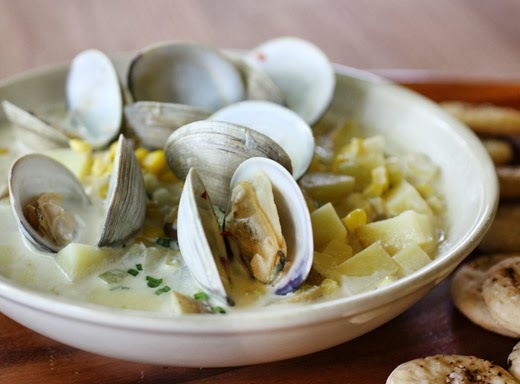 The chunky potatoes and sweet kernels of corn with the clams were what I wanted all along. And, the little, barely puffed, cracker-like biscuits were perfect on the side. I guess I don’t mind meandering around various recipes as long as a craving is eventually satisfied.